Lovers of sophisticated getaways with lots to do adore spending time at Park Lane in Atlantic City near the world-famous Jersey Shore. In these Atlantic City timeshares for sale you'll find the perfect blending of activities including casino gambling, nightlife, entertainment and relaxation. Nearby beaches give you chances for swimming, fishing, boating, surfing, scuba diving and soaking in the sunshine. A trip to the world-famous boardwalk is like traveling through time to a simpler era. Everyone will be fascinated by the range of shops, concessions, amusements and entertainment as you stroll along this famous stretch of New Jersey history. Sports enthusiasts will adore the wealth of opportunities found here for golf, horseback riding and tennis. The entire family will be entertained when you choose a destination like Atlantic City. You will love the spacious apartment style timeshare accommodations of Park Lane with room for up to four people in each suite. Stretch out and relax in soothing air conditioning with plush carpet beneath your feet and a full kitchen with a dishwasher and microwave. Everyone will enjoy lounging by or splashing in the swimming pool, and will also appreciate having a convenient nearby laundry area. It's the perfect place to come back to after full days of Atlantic City style sightseeing and fun activities. Sports enthusiasts will appreciate readily available sporting events while lovers of nature will have fun visiting attractions like the aquarium and zoo. 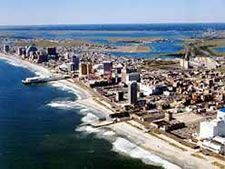 A choice to buy one of these Atlantic City timeshares for sale is a decision in family fun and appealing getaways. From white sandy beaches to the glittery excitement of casino gaming, there is something for everyone in this fascinating part of New Jersey. This quiet section of Atlantic City provides just the right amount of serenity combined with enough excitement to keep things interesting. Get out there and be thrilled by all that exciting Atlantic City has to offer, knowing you have a supremely comfortable retreat at Park Lane to return to at the end of busy days. Contact Park Lane Specialist Today!